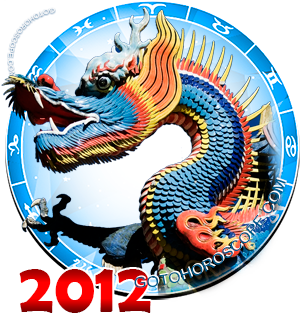 November 2012 Horoscope Cancer, free Monthly Horoscope for November 2012 and Cancer Astrology Forecast for the month ahead. 2012 has been so exciting for Cancer people and you love to observe the world without judging. Broadening your horizons is admirable, but November is a month when you need to learn to say "no" and not spread yourself so thin that you become exhausted and find that the costs exceed the benefits. Maintain a happy home life and avoid trying to make your mark on the world. 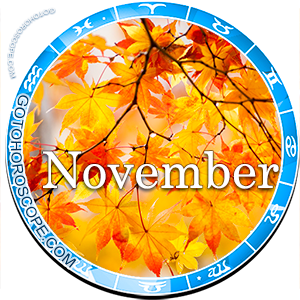 November is a perfect month to find a satisfying intimate relationship be it with an old partner or a new love. Honor your promises and change your attitude and behavior. Recommit to your relationship. You can expect the same from your partner. Take this month to turn a melodrama into a chance to take someone into your heart; you will receive love and support from those who love and surround you. You have very close friends; once you have made friends you tend to keep them forever. Family ties are the most important ties to you and your relationships tend to be with those in your family. You may need to go out of your comfort zone in November, Cancer; it is well known that you are uncomfortable in social situations and like to remain at home and with those you know. Go out and socialize! This is how you will broaden your circle of friends, and also keep the old ones in your corner. Emotions will run high in regards to career and work. You will find that the first of November brings complications and drama to those under the sign of Cancer, but as the month moves on you will find that a renew sense of self-esteem will reestablish your career paths. If you decide to move on to a new career in November it will be such a good fit that by the end of the year you will be very established. Manage data and information more efficiently, organize, file and keep going. Find holiday bargains during the first of the month, but avoid spending excessively during the second half of November. Do be aware that there will be financial changes and adjustments needed in November to keep Cancer people from becoming tight during the rest of the year. Enjoy the holiday season and know that money matters are not as important as emotional ties. Take it easy and move on a healthier and more realistic exercise and health track. Spend quiet time at home and be gentle with yourself. If you feel pain stop and rest - don't drive yourself beyond your capacity. Find a deeper revelation and meditation for yourself. November and Cancer needs to equal reflection. All relations will cause a redefinition of your body, image and self-concept. Remember that you give comfort and help to people and November is the time for Cancer people to let other give back. Take compliments, turn hugs into riches, and enjoy the comfort that others can give you.